Music can change our mood and function as a tool for relaxation. It has been found that babies can benefit cognitively and physically from hearing music in the prenatal stage. 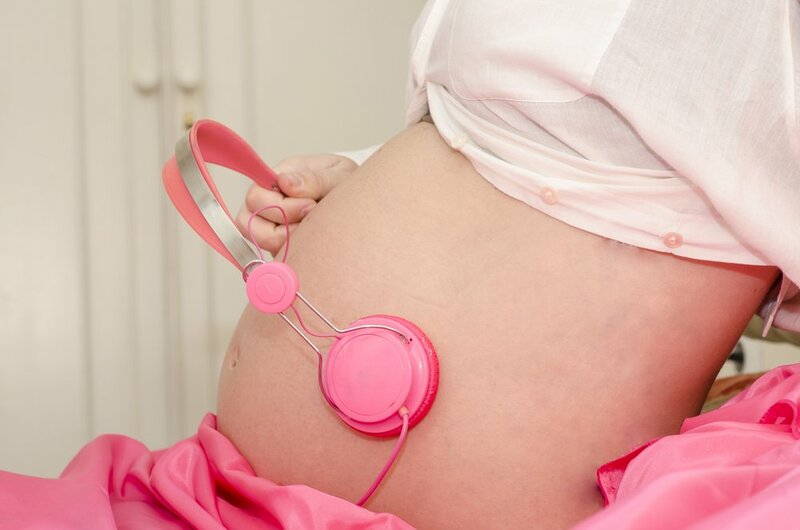 Several studies show that babies who are still in the womb can hear outside noises during the second trimester. It’s been noticed that the baby’s heart rate rises when listening to certain rhythms, and these rhythms can soothe them after birth. Scientists believe that music stimulates the alpha waves on the brain, and therefore ease the newborn. Some studies also affirm that music helps build new neuronal connections in the baby’s brain. According to Partanen et al. (2013), babies who are stimulated in the womb show active neural activity. It’s been found that babies who have the highest brain activity after birth are those who got the most hearing stimulation in the womb. According to studies conducted by Dr. Rene Van de Carr, babies who were stimulated in the womb sleep better, cry less and have better learning capacity. Finally, there are programs created for prenatal auditory stimulation such as BabyPlus, the Tomatis Method, and Firstart. The purpose of these programs is to train the baby’s hearing inside the womb and to improve the baby’s development before birth.